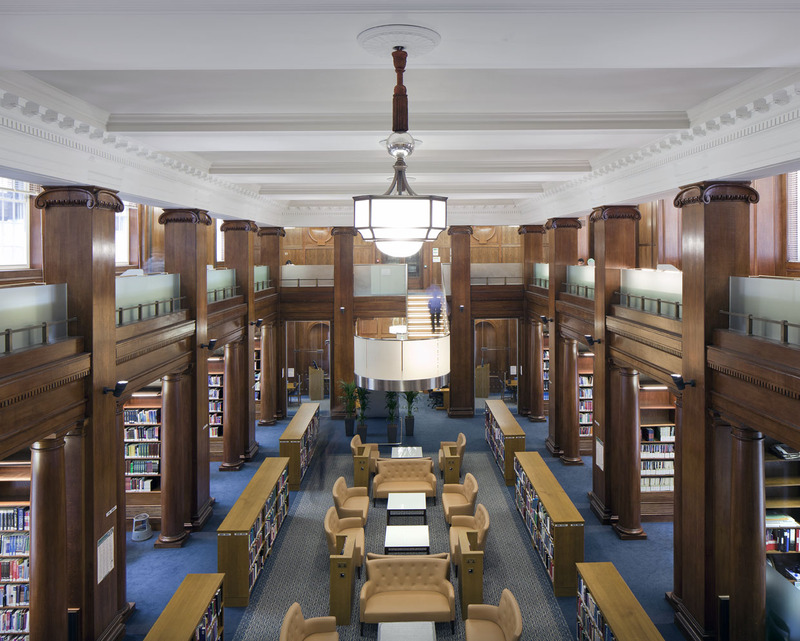 As part of the £3 million renovation of Imperial College, Dernier & Hamlyn refurbished the art deco lighting in the world renowned College’s St Mary’s library, which is believed to have been installed when the College was opened in the early 20th Century. The new library has been renamed the Fleming Library after Sir Alexander Fleming. Dernier & Hamlyn’s work included thorough, expert cleaning of the Library’s historic lighting and replacement of various parts that had gone missing over the years. Dernier & Hamlyn also updated the light fittings by rewiring them to meet current regulations and incorporating QL induction lamps which combine appropriate light levels with longevity to help the College meet its sustainability objectives.